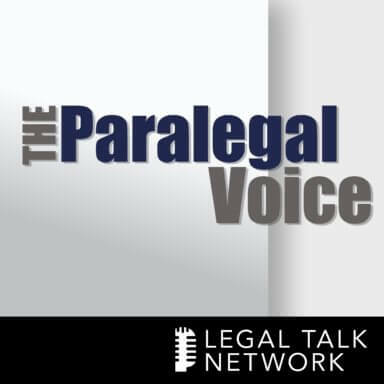 On this edition of The Paralegal Voice, co-hosts Lynne DeVenny and Vicki Voisin welcome Attorney Beverly Michaelis, Practice Management Advisor for the Oregon State Bar’s Professional Liability Fund, to discuss practice management, technology and current ethics issues for paralegals. Later in the program, Vicki will chat with Shawn Siek, Vice President of ESI Business Development at Teris, about what to look for in a service provider and hiring a litigation support vendor. Special thanks to our sponsors, Teris, Westlaw Deposition Services, Clio, and the National Association of Legal Assistants (NALA).